Delicious food is available at all Union Chapel shows. Eating at the Chapel is a win-win, the food is delicious and all money we make helps to fund The Margins Project, based at the Chapel. Margins works with people who face issues of homelessness, mental health, isolation and crisis. All tickets are for Live At The Chapel are ticketed by chosen agencies. For any questions related to ticketing please contact the ticket agent directly. Seating is unreserved at the Union Chapel and on a first come, first serve basis. 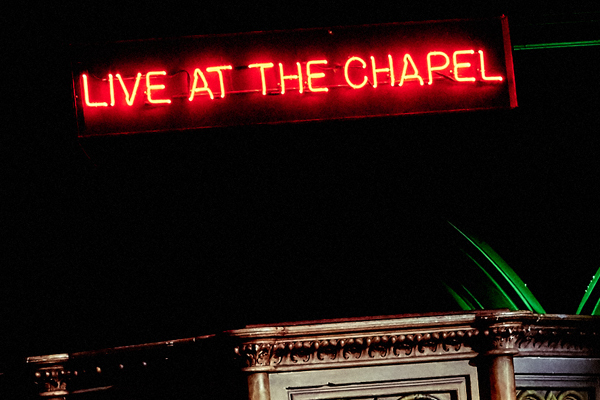 Doors opening times vary but all Live At The Chapel shows finish by 10.30pm. Join the Live At The Chapel mailing list to be the first to hear about newly added shows and special offers!